Dr. Yvonne Capehart, pastor of Believer’s Life Center in Pensacola, Florida. She is also gospel recording artist and publisher of Sister Keeper magazine. Drawn to Destiny: How to Discover and Bring to Fruition Your True Purpose in Life – This book is for women who are a committed to pursuing purpose for their lives. Written in a style that will demystifies the process of seeking God’s will. Capehart draws from the lives of Bible characters to demonstrate how each person is drawn to their destinies. Alvin Fruga, National music minister and recording artist. When They Began to Sing: Understanding God’s Purpose for the Music Ministry – Written to an overview of music and its role in worship. This book provides much practical information concerning most every major task from reading music to organizing a schedule. Praises from Pastor and gospel legend, Andrae Crouch, Bishop Brian Keith Williams and the late Dr. Mack Timberlake. Mark Leonard, youth pastor in Denver, conference speaker and Christian television producer. Empty Well Thirsty Heart: Finding Wholeness in a Barren Land. This book helps readers to recognize and address the empty areas of their life and how to find fulfillment. Based in part on Leonard’s own life experience into the emotional desert of empty wells, through a season of self-discovery and into the fertile, well-water valley of wholeness and freedom. Paul Morton, founder of Full Gospel Baptist Church Fellowship and pastor and Presiding Bishop of Greater St. Stephens Full Gospel Baptist Church in New Orleans, Louisiana. He is also a multiple Stellar Award winning gospel singer and columnist with Gospel Today magazine. The Enemy Inside Your Mind is a book that gives practical steps to arresting negative thought patterns and replacing them with God principles. Learn to cast down stereotypes and social constraints of society and become all that God intended you to be. Larry Russell, executive director of Shepherd’s Heart Ministry, an outreach ministry to pastors and ministry leaders. Before Love Dies: Getting Your Needs Met in Relationships – In this easy-to-read format, Russell shares biblical perspectives of the five foundation stones that are essential to a successful marriage – covenant, trust, forgiveness, love and friendship. Charlyn Michelle Singleton has been called the Little Woman with the Big Word for her extraordinary ability to make the Scriptures come to life. An advocate for those struggling with hopelessness, her story-telling gift paints a strong and distinct picture of Bible characters who have overcome adverse circumstances with God’s help. Charlyn is the president and CEO of the “God’s Woman” conferences and the First Lady of Loveland Church in Ontario, California. She is the wife of Sr. Pastor, Chuck Singleton, and a proud mother and grandmother. “The Journey from Pain to Purpose” is her her first book. Darlene Bishop, pastor and widely sought-after conference speaker. Previous title: Your Life Follows Your Words. This year’s release: The Transforming Power of Spiritual Desire. Book explains how desire can determine present circumstances and the future. Prayer, intensity of worship and the depth of personal relationship with God are keys to the transformation. Bishop Darryl Brister, pastor of Beacon Light International Baptist Cathedral in New Orleans, La. Has authored seven other books, previous legacy title: Living the Dream. New title: Doing Right in a Wrong World. Brister defines and develops the concept of righteousness and demonstrates that we can be right one through our relationship with Jesus Christ. 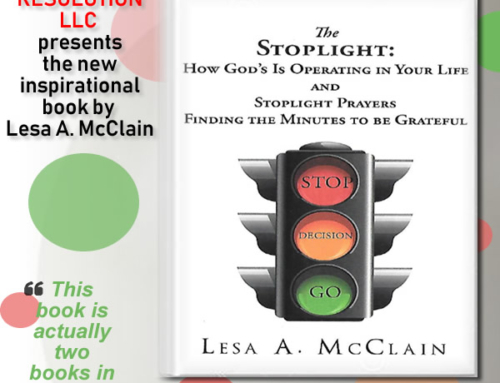 Provides tips to help apply that Christ-centered rightness to everyday lives. In his recent book release, “Failure Is Not The End”, Dennis Leonard gives you solid and carefully targeted Bible-based discipleship framed in a 30-day “life makeover” plan to help you overcome your past and step into your God-ordained destiny. It will help you make strategic and biblical course corrections that will set you on track for the journey of pursuing your life’s purpose. Dennis Leonard is an accomplished author, the CEO and founder of Legacy Publishers International, has produced 2 gospel albums under his label Praizia Music and is the senior pastor/founder of Heritage Christian Center in Denver, CO, one of the most ethnically diverse congregations in America with over 12,000 in weekly attendance. His daily and weekly television broadcasts are aired in several markets nationally. He is also Bishop of Multi-Cultural Ministries for the Full Gospel Baptist Church Fellowship. Marilyn Hickey, television evangelist and bible teacher for more than 30 years, founder pastor of Orchard Road Christian Center in Denver and Marilyn Hickey Ministries. Previous title: Wow Faith. New Legacy release: Victorious Spiritual Warfare – Biblically based 10-step strategy for success and 101 ways to defeat the devil. 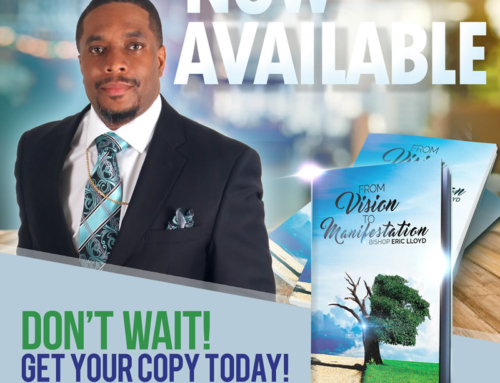 To schedule an interview with any of the authors or request a review copy of a title, please contact Pam Perry, Ministry Marketing Solutions at 248.426-2300 or pamperry@ministrymarketingsolutions.com.